One day workshop for Nivedita tailoring unit. 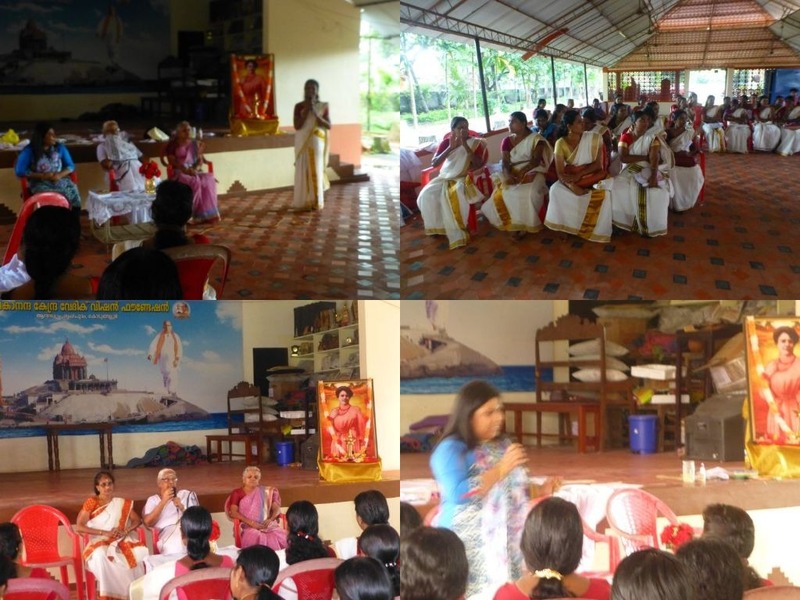 The workshop was inaugurated by Mananeeya Lakshmi Didi as the participants we're chanting the pranava mantra. Didi in her inaugural address laid emphasis on self-transformation and become a role model for others and requested all the mothers to make use of the opportunity of learning to stand on their own feet. Smt Prabha teacher who is versatile in number of art forms like fabric painting and embroidery introduced the students to the basics of the above arts. All we're engrossed in that till lunch time. In the post lunch session it was family counseling. Smt Divya from Tejus, Irinjalakuda conducted the lively interactive session with ease with the help of couple of students. In the end all the participants expressed their opinion. Kendra honoured both the teachers of the tailoring unit The program concluded with Shanti mantra.